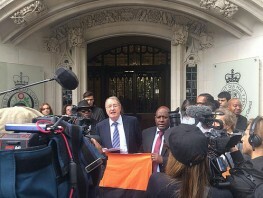 A long-awaited judgment delivered by the Supreme Court yesterday, has failed to find that the removal by the UK government of the Chagossians from their island home in the Indian Ocean was illegal. ‘We are very disappointed that despite significant evidence in their favour, the Chagossians have again been denied justice. 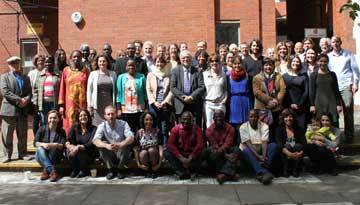 We call upon the UK government to take steps to address this situation, and we will continue to support the Chagossians in their fight to return home’ says Lucy Claridge, Legal Director at Minority Rights Group International (MRG). The Chagos Islands are an island chain owned by the UK and located in the Indian Ocean. In the early 1960s, the British government contracted with the United States to establish a major military base on the largest of the islands, Diego Garcia. To facilitate creation of the base, in 1965 the Chagos archipelago (including Diego Garcia) was divided from Mauritius (then a British colony) and constituted as a separate colony, the British Indian Ocean Territory. Between 1967 and 1973, the United Kingdom removed all native inhabitants of the Chagos Islands. The Chagossians now live in poverty and marginalisation in Mauritius, Seychelles and the UK. Adequate provision was never made by the UK authorities for their housing, employment, healthcare, social needs or community facilities. The Chagossians have never been appropriately consulted about their removal from the island. In 2004, the Chagossians brought a case challenging the legality of an arrangement which denied them their right to live on the islands, and prevented any person from entering the archipelago without prior authorisation. In 2008, the House of Lords ruled that this exercise of power was a concern for the government and Parliament, and not a matter for the courts. In 2014, the Chagossians challenged this ruling, lodging an appeal before the Supreme Court on the basis that key evidence had been withheld by the government during the earlier litigation. Specifically, papers suggested that a feasibility study conducted in the early 2000s -which study found that a Chagossian resettlement would be difficult – was highly flawed. Documents released under the Freedom of Information Act suggested that the Foreign Office paid an academic to heavily critique the original draft of a study, which was generally more favourable to the return of the Chagossians than the final published version. A further feasibility study, conducted by KPMG in 2014-2015, has found that there would be scope for resettlement.